A luxurious large cascade chandelier from our collection of contemporary lighting. 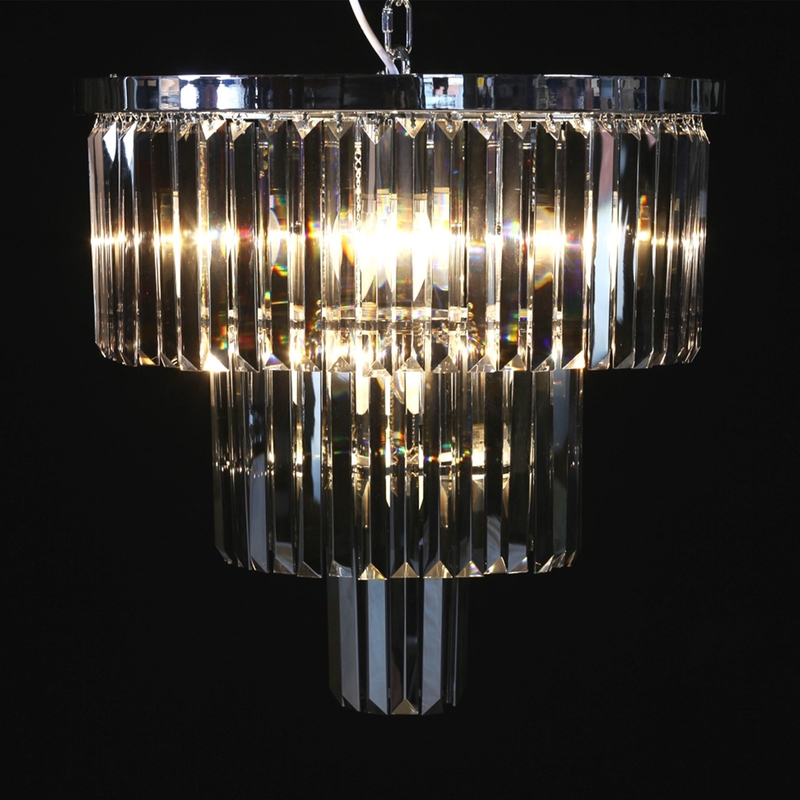 Ideal to add elegance and stunning lighting in any room of your home. Finished in chrome and featuring smoked glass in a wonderful prism drop cascade style and holding 10 lights, this chandelier is sure to brighten up any room in your home and astound across generations.